Premium reconditioned Green Bean hybrid battery for a 2011-2017 Lexus CT200H & backed by our 5 Year Unlimited Miles Warranty. Direct fit replacement for all 2011-2017 Lexus CT200H hybrid batteries. Installation included in the battery price; see the Free Mobile Installation tab for more information on our service area. Free installation anywhere in our service area. If you are in the green area in the map below then we will come to you and replace your hybrid battery at your location. Give us a call 888-473-7265 to discuss other options. Premium High Capacity / Low Internal Resistance Reconditioned same capacity as new OEM cells or modules. Nickel Plated Bus Bars / Premium quality nickel plated bus bars. We replace the bare copper bus bars with nickel plated units. New Hardware Throughout / New zinc plated nuts and bolts for all electrical and structural fasteners. Live Testing / at full vehicle load to ensure quality and functionality of every component. Scott did an awesome job. My car was in pieces when he got to my house on Sunday afternoon. It wasn’t long until it was completely reassembled and running great. The car sat at a service station for months until my friend told me about Green Bean. Thanks to Scott and Aaron and everyone else at Green Bean! Green Bean offered a better price AND a better warranty than any other hybrid battery replacement I found on the market. Their customer service was friendly and beyond thorough, and the technician, Steve, who did my replacement was on-time, fast, and personable. He got the whole thing done before I had to be in the office this morning, and it wasn't nearly as hard on my pocket book as any other option. Got my battery replaced for my 2009 Tahoe a week ago. The install was done quickly and professionally, and the new hybrid battery runs great. The warranty is pretty unbeatable considering the cost as well. If you're trying to pick between these guys and a dealership, I'd go with these guys. The hybrid battery went out of my 2007 Camry last week and when I got the estimate for replacement from our local Toyota dealer I started looking for other options. That's when I found Green Bean Battery and their 5 year warranty. I called on Thursday and had an appointment scheduled for the following Tuesday. The installer, Steve, met me at my daughter's apartment and changed the battery in the street and was done in about 30 minutes. I'm looking forward to having a working car again and thought everyone I worked with here was great. I haven't hired these guys to install a battery, yet, but I will be going to them if and when that time comes. I called to schedule an appointment. Green Bean patiently took down all of my codes and told me that none of the codes I gave him pointed to the battery needing to be replaced. They ended up helping me realize I probably need to find another mechanic. I had my battery replaced a month ago. Setting up the appointment was quick and easy and all questions answered put me at ease. Very smooth experience overall and would highly recommend! My car has been running great and happy to have a 5 year warranty. Steve Z. replaced my battery in about 25 minutes and my car was good to go from there. Thank you!! Excellent service by Steve Z. Very impressed at how quick he responded to out service request. The price and warranty balance is exceptional, and a good buy for the money. After thinking I needed to settle with the dealer and drop $2700 on a new battery for my Prius I decided to check out some more options- I came across green been battery company! I thought it was too good to be true, but I am SO happy with this company! Steve (I think was his name) came to my house and switched the battery out in less than 30 minutes and my car is working perfectly since and it’s been over a month! I had the battery replaced about a month ago and the car is better than ever. So far no issues, highly recommend.Very punctual, the whole ordeal took less than an hour in a parking lot. You can tell the tech has done this many many times, he worked like a machine, it was actually amazing to watch. The price was better than the other guys and they have a better warranty. Cant lose. I was considering replacing my own battery for a brief period of time after my Prius gave the red triangle of death, but after reviewing the procedures and comparing the parts costs, I'm glad i instead picked green bean to replace it for me. Their mobile installer completed in about 45 minutes a process which probably would have taken me a day and a half. They drive to you with the right product and the right tools and know-how, and take care of the entire process start to finish, right in your driveway. The 5 year warranty is peace of mind as well! Down the road when this battery also reaches its lifespan, I'll be picking green bean again. Green Bean was terrific! We have a 2006 Toyota Prius which died in Asheville NC. Had it tested at the dealer then towed to an apartment complex. Ryan at Green Bean got me a same day service - the technician Josh showed up a few min early - did a GREAT job and the car is off and running like new. Thank you Green Bean for saving me $$ and getting the job done same day! Highly recommend them! Our technician (Matt, from KC) was prompt, courteous, and competent. I will definitely use Green Bean again if we can get Matt for our tech. Awesome guy, awesome service! I had a great install experience with Green Bean. Steve Z and his daughter drove two hours to install the battery pack and they were done within an hour (despite my barrage of questions). Everyone I talked with was friendly, knowledgeable, and professional and it made the whole process (4 days from the battery's death to replacement) wonderful. Awesome service. The service guy came to my house in Green Bay, WI. Arrived early for the appointment and had hybrid battery replaced in my 2007 Prius in less than an hour. Red triangle of death is gone and I am back to 50mpg. A much cheaper option than a new battery at the Toyota dealership. Just got a new battery and the triangle of death is gone. Geoff was kind, on-time, knowledgable and the whole experience was really pleasant. He even checked if anything else was wrong with my car. Will update if anything goes awry with the battery but for now I'm really impressed and feel like I'm in good hands. We had the main battery go bad on our 2005 Prius. We had Green Bean battery installed and it was a terrific experience. They came a day after I contacted them on the web and Steve Z was at my house and installed the battery in one hour. I paid them on the spot with a credit card. This was the easiest repair I’ve ever done and the car is running like new again. Great value on top of it all as well. Such a wonderful experience! They were fast, friendly, excellent customer service when we replaced the battery in my 2005 Prius. The technician, Steve, was so knowledgeable, thorough, personable, and FAST. The entire replacement took under 30 minutes! Our local dealer told us it would take 10 hours and quoted us almost $4000, and basically told us the vehicle had such high mileage that it wasn't worth saving. We're so excited to still be driving our little car! I can't recommend Steve and Green Bean highly enough. Great people! The code came up on Tuesday and the battery was replaced on Thursday. I called and talked to the people multiple times with multiple questions and they were very patient with me. Excellent experience. Thanks! The hybrid system on my '06 prius had been incorrectly repaired by a previous owner and failed 2 months after I purchased it. Unwilling to pay what the dealer was asking, I called Green Bean. On the day of my appointment, I got a call from Steve, letting me know he was an hour away. I met him at the Toyota dealership (the service manager was super cool with the whole arrangement and actually encourage me to use Green Bean) and he had the hybrid system replaced in under 30 minutes. He was incredibly professional and a pleasure to talk with. My system was missing a few bolts - and he only had one spare. He gave that one to me and reinstalled the bolts so that all of the important spots were filled. He communicated with me clearly throughout the process to ensure I understood the situation and to assure me that the missing bolts would not impact performance. Overall, it was a great experience! Definitely go with Green Bean. I was skeptical - paying $2,000 upfront because the battery was specialized and had to be made. I called Green Bean to ensure the technician was still coming as the appointment time had been missed by ten minutes. Karl - the technician phoned me right back to say he was 8 miles away. He had driven 6 hours to come install my new hybrid battery! Almost half the price of the dealership. My car is as good as new again. Love it! Thanks Green Bean & Karl! Green Bean is legit! Kinda seemed too good to be true. Now - I've only just had it done, but I can say this: my car did not run and had the red triangle of death. Tony Green Bean came, no more triangle of death and now my car runs great. He called to ask if it was alright to arrive a little early, which was awesome. Less than half the cost of my dealership, and a warranty that's 5X as long. Tony the installer was very professional, quick and thorough - even returned the rug and top cover that I had removed prior to his arrival. I'll keep this 2005 Prius for a few more years thanks to Green Bean. Thank you! I contacted Green Bean on Friday, August 24, 2018. I was contacted, by Arin, who told me my battery was under full replacement warranty, after I gave him proof of a defective battery. This was done immediately. Arin offered to send someone to come over the week-end. I told him that was not necessary. On Tuesday, August 28, the battery was replaced. I consider that outstanding service considering I live in KY and Green Bean is located in NC. I definitely would recommend this company for purchasing Hybrid batteries. Easy and affordable way to get your hybrid battery changed out. Matt did a great job. Update after one month:Battery still going strong! I called Green Bean hoping to get a battery for my '07 Camry within a week or so, but to my surprise, Green Bean support told me they could do it that same day! I scheduled it and William showed up with the battery and installed it without a hitch in about an hour. Bill ran some in-depth tests to ensure everything was operating correctly and also drove the car to ensure proper performance. All the service lights that were on and the "check hybrid system" message are now gone. Do not hesitate to use this company. Overall great experience. Kenny from Green Bean Battery was very prompt and quick! My 2007 Camry Hybrid runs like new after battery was replaced. The dealership tried to charge me almost three times the amount of what Green Bean's cost and the warranty was limited (3 yrs). I'm glad to know that I'm covered for 5 years with green bean. Thanks guys! I highly recommend using Green Bean Battery to solve your hybrid battery problems. The cost was half the price of the dealer's quote form my 09' Tahoe. After making the payment, my husband and I immediately received a phone call from Green Bean Battery to schedule my appointment. The gentleman that installed my battery alone with the phone coordinator both were knowledgeable and friendly. They explained the simple and easy process. Our new battery is installed and running PERFECTLY! Made the appointment on Tuesday for a gen2 Prius battery replacement. Customer service was friendly and helpful and scheduled a replacement on Thursday morning. The installer, Ali, was friendly efficient and very open about the condition of the existing install. The original battery had been worked on before I purchased the car, which was not disclosed. Anyway, I am a happy customer and will check in a few years from now to update the batteries status. Five year warranty provides peace of mind. Wow! Great service. Very professional & you can't beat the price of the battery which includes green bean coming to your location to replace the battery. Wish I had discovered them sooner. Gave my car to a shadetree mechanic to have several cells replaced. He had my car 6 weeks & I wasted several hundred since the repair didn't last long. Green bean replaced my battery in an hours time & I have a 5yr warranty to boot. With the price of gas going up, it's great having my hybrid performing like new again. No lights on my dash & I have to thank Marc the technician for even getting rid of that pesky low tire pressure light that's been on for a few years. I will recommend green bean to anyone I know with a hybrid that's having battery issues. Eugene, the technician, arrived early after driving most of the night to get here. He was polite and knowledgeable. He took pride in his work and had the battery replaced in about 1 hour. He was conscientious making sure that every nut, fastener, and cable were put back exactly right. He made sure the trim, liners and covers were put back exactly right. He did an excellent job. I was impressed with the company making sure they contacted me and made sure I was aware of everything. The warranty for the battery is much better than that of the dealership or most other companies out there. Very impressed so far. I was helped today by Marc who was wonderful! He was knowledgeable, professional and you could tell that he loves what he does. He took the time to make sure everything was perfect with the install and kept me informed the entire time. It was an even better experience than I could have expected, thank you Green Bean team! Eugene arrived early and completed our install in just over an hour. He was polite and answered any questions. Tested our 07 Camry's systems and went on test drive. Everything worked as expected and gave our car an extended life. We debated for several days whether it was logical to replace the battery or just cut our losses. Glad we found Green Bean Battery. I would highly recommend this company and their services. If your in need of a replacement battery for your hybrid don't waste your time searching any further than Green Bean Battery. Amazing experience, start to finish. When our battery failed, we were freaking out that it would cost us $4,000 to replace, or that we would have to buy a new car. After talking with a representative from Green Bean Battery, and after the amazing work Eugene (the technician) did on our 2006 Toyota Prius, we are now believers. A warrantied, refurbished battery for under $1600! Fantastic service, knowledge, and customer service. I highly recommend this company! I had a Green Bean battery put in my 2006 Toyota Highlander Hybrid Limited. It was half the price I was quoted through a local mechanic and it provided a 5-year warranty versus a 3-year warranty. To be honest, I was a bit skeptical since it was half the price and they were going to come to me. REALLY!?! How incredibly convenient. There's got to be a catch. If there is, I have not yet discovered it. Matt called to let me know he was on his way and showed up exactly on time for my scheduled appointment. Because my car was a bit disgusting under the seats, Matt allowed me to vacuum and do a little carpet cleaning while my seats were out of the car. I was very impressed with Matt's customer service and Green Bean Battery, as a whole. I would highly recommend to anyone needing a hybrid battery replacement. We got our Prius, 2007 hybrid battery changed by Steve from Green Bean Battery. Steve was excellent, knowledgeable and courteous.I had read many reviews about Green Bean Battery and they were excellent. It sounds like company is on top of all the needs of customer and there is nothing more to add than saying same good things over and over.This is one of the rare occasions in business/marketing that in delivering services this company exceeds in their service more than what they say they will do! Hope they keep this consistency and stand as a 5 star example in business world as for as doing more than what they said they will do. Steve, Thank you for your professionalism. After research I decided to purchase the Green Bean Hybrid battery for my 2006 Prius. The tech came to my house as arranged, and was very professional, polite and friendly. He handled the car parts carefully and respectfully and answered all my questions. He went above and beyond my expectations in every way. I am very happy with the decision to purchase! It was by far the most hassle-free and pleasant car repair experience I have ever had. I say this as a busy senior citizen who does not usually do reviews. Best part is that if the battery fails in the next 5 years, they come to me wherever I am to replace it! Green Bean absolutely ROCKS!!! Like many, I was a little nervous about it, since it was sooooo much cheaper than Toyota. So, my wife and I peppered our installation tech with questions and watched every minute of the job. I have to say, Green Bean does a great job, fast, and for a really reasonable price. Our Green Bean battery has been in the Camry Hybrid for over a month and is working beautifully. Incredible! I honestly can't believe I got a battery replacement, in my own driveway, very quickly after contacting them, for less than a third of the total price quoted from our local shop. A five year warrantee, and fantastic technician Marc were just icing on the cake; he was so helpful and personable that the short amount of time he needed flew by. Marc traveled from a location almost six hours away from me, and was perfectly on time. My Camry is running great - I'm so grateful and am a customer for life! Even though you only would need them a couple times in a lifetime, if you play your cards right ;)Doesn't hurt that their name is just fantastic! I was nervous to try this website, but i saw all the good reviews and decided to give it a try. BEST DECISION IVE EVER MADE! Its legit! Plus they saved me some money! Yesterday they came replaced by parents Tahoe Hybrid battery, the guy was very polite, total professional at his job... 5 stars! Had the battery replaced in my 2007 Toyota Prius a few weeks ago. Did lots of research about Green Bean Battery and decided to go with them for the fact they have good prices and a good warranty. I was worried about having an “online service”/ company based in another state replace the hybrid battery as it is not cheap and I was worried about the quality and service I would receive. The closest local mechanic to me quoted me $2200 to have a refurbished battery installed with a 3 year warranty. So, Green Bean Battery has great prices and a better warranty. The technician Matt showed up on time and was fast, efficient and nice to converse with. He had the battery replaced in under an hour and even replaced a couple of bolts for me in the trunk that were not correct and used by the previous owner or used car dealer. So far the battery is working great. Just before the battery died, I was getting 40mpg with mostly highway driving. With the new battery I’m getting 52mpg! With all that being said, if anything changes with the life of this refurbished battery causing warranty work, I will update the review and document the experience. I just had my battery replaced. After going to a couple local mechanics for quotes in the Cleveland area as well as a Toyota dealership I was astounded at the price, $4-5K for the replacement of the battery. I did a little digging on the internet and found Green Bean. Couldn’t believe the price as well as all the reviews. Well it’s true and their service was impeccable and hassle free. I will update should I run into any issues down the line. Thanks Green Bean! Had my battery replaced yesterday 8 May 2018. The tech was Matt . Being skeptical about these kind of on-line services, I decided to obtain the services from Green Bean Battery and they truly delivered! I would with out hesitation recommend Green Bean Battery to anyone in need of this type of service. Matt arrived to my home even before his scheduled time and he called me to inform me of this which was very courteous of him. He greeted me with a firm handshake and introduced himself. He explained everything and began the process. He amazed me and my wife with his speed and accuracy and had our Prius back up and running in about 30 to 45 minutes. After the work was complete and being his last customer for the day, he took some of his own time to chat with me on a personal level which makes for great customer relations. Matt was professional, courteous and knowledgeable and I want to thank him for his hard work and true dedication in providing a great service and impeccable customer service. Thanks again to Green Bean Battery and to Matt. You all ROCK!! Great service and price. Matt V. got here early and completed the job in 45 minutes. He was very professional and knowledgeable. Coming to our location was a real plus. A lifesaver and a great value compared to the Toyota dealer. Great pricing, friendly installer, and included 5-year warranty - what is there not to love? Saved me $1,000 from what the dealer wanted, and the install took 20 minutes. These are people that clearly love what they do and it's so nice to work with those type of people. This was the most professional job I've seen in many a moon. 43 minutes from a standing start. Everything clean and ready to go at the end. 2005 Prius fired up first try with no issues and ran like a champ today delivering 51 MPG in-town driving. Technician Ali was top-notch in every respect. Can't recommend highly enough. Replaced prius battery last year, so far so good. My car even getting better mpg. He set appointment for me at 5pm, and I think he completely forgot to reach out to one of his installer, he ended up getting different installer that finally came around 9pm ! The guy that installed the battery forgot to install the trunk light and it's gone s now. :\ I just wish the installer would bring a big light instead of a flashlight that attached to your hat. Just received my green bean battery done by Marc w/ a C. Very nice & friendly guy. Explained everything he was doing. It’s snowing & raining, he never complained, let me talk the whole time, he kept working. Lexus dealership left off some screws he replaced. You can tell he really likes what he does. Didn’t ask for payment until i drive it everything was done. If asked would I recommend this nice, yes I sure would. Thanks Marc!! I had a great experience overall with Green Bean Battery. The process was easy, communication was excellent (emails and phone calls), and they installed the battery, at my home, in an hour for exactly the price on the website. This was all scheduled and work completed in less than 24 hours.There were just a couple of small things that I experienced which I think could be improved:1) The scheduling process on the website took me by surprise - I clicked through calendar and filled in my information, expecting some type of feedback saying "time slot available" or allowing me to review the info I'd input, but hitting the "pay later" button immediately scheduled the appointment. I would expect some type of final "are you sure you want to schedule this appointment?" type of screen before the scheduling occurred. Not a big deal, but I was glad I'd really picked a time I wanted, because the only available option to change time or cancel required a phone call.2) My installer called prior to the appointment as I'd been told he would, but he informed me he was running 30 minutes late of the scheduled time. This was a nuisance but I appreciated the communication. He ended up being 1 hour late, but I was prepared.3) I'm not knowledgeable about cars, so I didn't realize the battery installation occurred through the trunk and rear seats of my car, and therefore I hadn't prepared the space. This wasn't a big deal as the installer quickly helped me remove all my junk and car seats, but a heads up in email or one of the phone calls would have saved us a few minutes.Again, I was happy with the service I received overall, and the communication was good. Just a few things would have made it even better. They were super helpful when we were verifying that our battery needed to be replaced. We made the appointment and the service tech. was here before the appointment. He changed it in the freezing rain without complaint. The whole process was so easy. Fast, friendly, good price, great service AND a 5 year warranty!!! Keeping in mind that we had our battery replaced just last week, so far so good! Although there was a slight glitch in our service, we did get our car back on the road the same day I called. The glitch was that the installer did not have an appropriate replacement battery on hand and he had to drive several hours out of his way to get one and then over an hour to to our house. I did appreciate that he readily admitted there was a mistake made and that he gave us a realistic estimate of the time he would arrive. I appreciated his willingness to work well into the evening. The price and warranty are much better than the local Toyota dealer's, so we are satisfied. 5 Stars when some time has passed and we know the battery is performing well. I would definitely recommend Green Bean to get fellow hybrid owners out of what must always be a tight spot when a quick decision is required and a lot of money is at stake. The price was reasonable, the warranty unbeatable, and the service great. We were sceptical at first but Mitch answered all our questions. We called on Monday and the technician came on Thursday. The whole process took about an hour. He did not leave until we were completely satisfied that everything was working properly. We were very pleased with the entire experience. WOW.... My experience was superb! Great Communication from start to finish. A real person calling me telling me they were coming early! Then a fresh new Green Bean battery installed in less than 45 mins. Took all the codes off my car and went on a trial test run with me in the car answering all my questions. It has run great now for a month and expect to not need the wonderful 5 year guarantee.... If everyone did business like this, life would be a lot easier! Thanks Green Bean Batteries! The technician arrived on time, worked quickly and neatly. Ali was happy to answer numerous questions during the process. It took 45 minutes and my Prius runs as good as new, even though it is 11 years old and has 206k miles on it. I expect to get another 200 k out of this car. Thanks to Green Bean Battery, we are on the road again saving $$ on gas. Super satisfied!!!! The service technician was excellent. He and the salesman stayed in contact through the entire process. The tech was very knowledgeable and professional. I was back up and running in a few hours of him arriving at my house. Very convenient. Thank you Green Been Battery. I found this company on the web and was unsure about the company. After the phone call and explanation about the company,their product and service, I was sold. Very easy installation process. The technician arrived on time and was finished in 45 minutes. After installation he reset and ran diagnostics on the vehicle. I even took the vehicle for a test drive. There 5 year non-pro-rated warranty appears to the be the best warranty I found for a hybrid battery pack. Local dealer wanted $4,000 plus tax to replace the old battery pack. Overall, the interaction with this company was excellent. The price was good and the service even better. Kenny showed up on time and had the battery replaced in less than an hour. Tahoe hybrid system works like it did when I bought it. I highly recommend Green Bean Battery! I was about to spend close to 4k to replace a main battery in my car at the dealership. I started to research and found Green Bean Battery. It seemed too good to be true but I felt like I had to take a chance. For about 60% less they came to my door the same day as I called, installed and gave a 5 year guarantee. The repairman was courteous, neat and quick. Perfect!!! Called to schedule an appointment, and the technician was available at the day and time requested. He drove to my work and performed the replacement in the parking lot. The work was done quickly, and the new battery works great. The battery seems like it provides as much power as a new one. I'm very happy to get this service quality for a fraction of the price of the dealership. Easy process, arrived on time and was finished in 1 hour. Car passed emissions with the new battery! Their new 5 year non-pro-rated warranty appears to the be the best deal out there right now. Local shop wanted $2200 to replace the battery and was only going to have a 2 year warranty. Overall, my experience with this company was excellent. Installation service was professional and quick. Drove to my house so I didn't need to go anywhere. Price was a third of what dealer wanted for a new one. 2 months later things are still going well. If this lasts 4 years, it will have been well worth it. So far I am more than satisfied with my purchase and installation. I admit, at first, I was a little hesitant to do business with an online company located as far away as South Carolina. The installation was completed as described and my Prius is now running great. I reset the MPG reading and drove about 25 miles and the reading is back to 43.5 MPG. The price is great and the installer was pleasant and efficient, completing the job under cold and windy conditions in less than an hour. This was incredible! Half the price of the 3 other estimates we received...MUCH longer warranty... lightning fast service...fixed it in our driveway! I had a long conversation with Mitch who took a lot of time explaining their refurbishing process which includes extensive testing ... being a retired electrical engineer, I appreciated the attention to detail and quality that they include in every project! Highly recommend! After diagnosing the battery failure at out repair shop we offered the customer options of new, used or Green Bean. Considering the price and warranty the choice was easy. Very pleased with the service; installer arrived at our shop on time & was done in about an hour. Was just done a week ago, everything working just fine. We'll definitely recommend this option again. I couldn’t be happier. Less than half the price of what the dealer quoted and I got to stay in the comfort of my home. Plus a five year warranty instead of the dealers 90 days. On top of the financial savings replacing and refurbishing batteries is way better for the environment than recycling the entire battery. What an awesome business model. Do one thing and do it so well that you are willing to drive to the customer for half the price. If only someone was willing to do this for my next oil change. Great Service. Arrived quick and in a timely-manner. Very professional workers. You can tell they care about their customers and their craft. The prices are as quoted. Would definitely recommend to others. Got my installation appointment quickly within 24 hours. Service was really good & well informed. Ryan came today and did excellent job. Highly recommend to anyone. The installer came to my house (approx. 140 miles from their shop) Saturday morning and actually got here about 15 minutes early yea! I like early. He took about an hour to replace the battery at better than 1/2 of what Toyota wanted, after he finished we went for a test drive and Ta-DA! the car was acting like it should....The technician was very personable and professional. I will give an update in about a year to confirm how happy I am. My grandson's car battery in his 2008 Prius died. I did a lot of research on the web to determine which would be the best route to get his battery replaced. After a thorough review, I decided to go with Green Bean Battery. I needed to utilize a company that I could trust, because it is super important to me to make sure that my grandson is safe in his vehicle and that the company who replaced his battery will stand by their word/warranty. I felt very comfortable choosing Green Bean Battery after I spoke to Tim. I loved the fact that they do the repairs at your location. I am located in Ohio. I contacted them on a Friday afternoon and Ryan, my technician, came out the next day on Saturday morning and replaced the battery. It took less than an hour for him to replace the battery. My technician, Ryan, was great!!! We went for a test drive together and he went over the company's history with me as well as the warranty information. He was very personable and professional. I am very happy with the customer service that I received. I would recommend Green Bean Battery for your hybrid battery needs!!! Nothing but high praise and compliments for Green Bean. A new hybrid battery from my Toyota dealership for my 2008 Prius would have cost me $3,190 installed, but Green Bean did it for 40% of that, tax included, thanks to the "Florida Special". Tim was very easy to work with and explained everything, and he was very accommodating in setting up the appointment, which was quick and easy (they come to where you are!). Brian, the installer, was timely and fast, but thorough and diligent. He did an amazing and super job. Many thanks to him and Green Bean for getting me back on the road for another 146,000 miles. I did a lot of painstaking research on replacing the hybrid battery in my 04 Prius. I could not afford the $3000+ that Toyota quoted and was particularly interested in a green alternative to buying a new hybrid battery. Gene Bean Battery came to the rescue. An affordable price, good track record and rapid response was exactly what I was looking for. The technician drove all the way to Western Pennsylvania from North Carolina to complete the installation. He arrived right on time and was finished with the installation in 30 minutes. He was very courteous and answered all of my questions to my complete satisfaction. I couldn't be happier with the process. Thank you Green Bean. I ordered the generation 2 for my 07 Prius. My installer Kenny was an awesome guy. It took 45 minutes to take out the old one and install a new one. He came to me. It was clean battery, painted green with a green bean logo. Very cool. The battery holds a full charge all night. I'm very impressed with the way I went from averaging 45 mpg to 50 mpg average now. I recommend this company and product. This is a first class organization. I had my doubts when I called them for my 2007 Camry Hybrid but they delivered as promised. I called in the afternoon and within hours they were at my doorstep. The job was completed in 30 to 40 mins. All my error codes cleared. Their fee is reasonable and around half of what Toyota charges. The car feels almost like a new car. I am satisfied and highly recommend their service. My Prius is a 2005 with almost 200,000 miles on it. Toyota quoted $4200 to replace both batteries and were happy to let me scrap it and sell me a new car. We discovered the refurbished battery option through our own research and decided it was a great option for us as the car is still in good condition. Green Bean Battery Company responded quickly, gave a straightforward quote and delivered as promised. Showed up within hours once we had the car back in our possession. The technician drove several hours from NJ to our house in the Hudson Valley and had the car working in 30 minutes. I paid easily online after the work was completed and I had test driven the car. I received a receipt in my email moments later. I'm glad we decided to go for it. Definitely worth it. After being pressured by a Toyota dealer to buy another car, and facing uncertainty by an approaching hurricane, I was concerned about what to do , when my son found Green Bean Battery on line. Within a day,we were scheduled. Josh was in the area and came a day early. We were able to have transportation to evacuate from the coast! Josh was super nice,and fast! Even scored a small discount! Prius works great and the red triangle of death disappeared! I am exceeding happy with Green Bean. I now have "breathing room" to decide if and when to get another vehicle.THANK YOU GREEN BEAN!!!!! I went out on a limb trying GREEN BEAN.....AND....I COULDN'T BE HAPPIER! Josh drove to my home in Iowa from North Carolina! He was great. Said he would be there at 4, arrived promptly at 4 and was done installing in a half hour! Cleared all my lights off and My prius is now running better than ever. Went from 40-41 MPG to 46-47 MPG. Better warranty than Toyota, saved my thousands of dollars! WIN WIN! Great to deal with - Thanks to Josh and Tim! You guys are the best! Lifesavers! My son and I were stranded out of town when the big red warning light lit up my panel. I called my home dealership who said I likely wouldn't make it home and to get to a mechanic ASAP. I went to the Toyota dealership in Charlotte, Town and Country who tested and reported that my Hybrid Battery was done. They quoted me $3600 for a new battery, (more than my 2006 Prius is worth BTW). I was able to get back to our home away from home in a panic about what to do with my "junker". I found Green Bean Battery online and they came out that day and installed the refurbished battery at a third of the cost! It's been 3 weeks and my car is running better than ever! They come *to you* to replace your battery. You can schedule it for the very next day! How much better can that get? Well, it does. Absolutely fabulous customer service. Courteous, friendly, fast. Couldn't recommend them highly enough! Go with them, you won't regret it. Fast and courteous! Tim answered all my questions on Saturday and Kenny installed the battery on Sunday! Our 2005 prius only had 120,000 miles, but I couldn't justify the almost $4000 Toyota dealer quote for a new battery. $1549 and all the work was done at my house with no hassle. I am thrilled that my old Prius is alive again. It has been a very reliable car and I hope to use it for some more years. The battery is holding well, and the service staff was very helpful and friendly. I am so thankful I found Green Bean Battery! The battery in my Prius was about to die and I was in tears when I received the quote from Toyota. I couldn't afford to replace the battery. I did some research online and found Green Bean Battery. I read the reviews, did some research, and decided to call. Tim was awesome! The installation team that came to my home, the very next day, was wonderful! Such gentlemen! Definitely rare to find a company where everyone is friendly and professional. They actually CARE about you! Imagine that! I highly recommend them and if I need a replacement battery in the future, I will definitely be contacting Green Bean! Thank you for your help! Dealers in our area are charging $5,000.00 to replace a Prius battery, which makes Green Bean pricing an absolute bargain. All communication from start to finish was both courteous and professional, and the installation was flawless! It was a pleasure to see all the parts put back in place without any missing or leftover pieces rolling about...why can't dealers do the same thing? My car is happy and so am I! Thanks Green Bean! Thank you! Excellent service from start to finish...From the ease of scheduling and upfront costs and info on the website to the quick professional replacement at my home in Ohio by Ryan, Green Bean Battery is definitely my 1st choice in hybrid battery replacements and will refer anybody in need of this service to them. Thanks again! I had to take my car to the dealership and they said it would be over 3 thousand dollars to replace my battery. After a quick internet search, I found Green Bean Battery. I called and they were able to come to me and replace my battery within the hour! Their customer service is amazing. If you need your hybrid battery replaced, I highly recommend them!! I had a great experience with Green Bean Battery! Installers come to your home to replace the battery, the prices are the best around, and the battery comes with a five-year warranty. Tim was very helpful in answering all my questions and Peter was an awesome installer! He was very friendly and super quick. My battery was replaced in 45 minutes. Wonderful service and a great business. Definitely recommend over anywhere else!!! Cycling - Restores capacity and stress-tests the modules to eliminate weak modules or modules that may be nearing end of life. Profiling - Precision measurement of the modules is conducted to classify determine the important parameters of the modules. Final testing - Testing the final product under high load ensures that the reconditioning process results in a well balanced and matched hybrid battery pack. 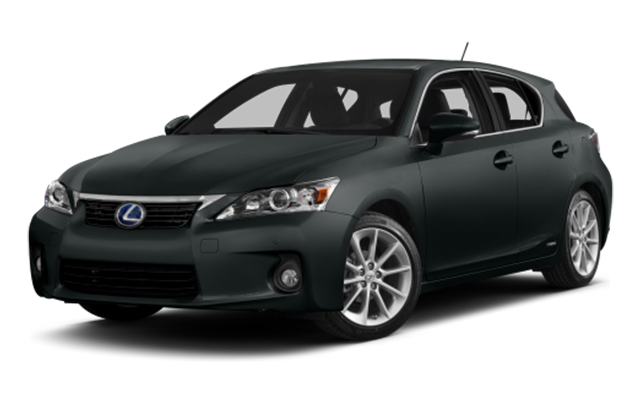 If you are driving a 2011-2017 Lexus CT200H, chances are that you have lost a little sleep over the replacement cost of your Lexus CT200H Hybrid battery pack. Until now there were few options to get your Hybrid battery pack replaced in your CT 200H, either you go to the dealer, or you risk having someone repair it by changing out a single module. Even with the dealer replacement you are probably still dissuaded by the lack of warranty offered with the dealer battery. Fully Remanufactured and Tested – This is important! Most Avalon hybrid battery “repairs” involve only replacing one module which means that you will be paying for a battery “repair” again real soon. Read below for much more information on this topic, our batteries undergo a full remanufacturing and conditioning process. 5 Year Warranty – All Green Bean Batteries have a 5 year unlimited mileage warranty. We use quality upgraded parts during the reconditioning process. Every Lexus CT200H battery goes through an extensive repair and rebuild process which takes several days. The process begins with load testing the battery and identifying its current overall state of health. The battery is then disassembled and subject to a complete reconditioning process. The battery modules or “cells” are conditioned in a process which reverses aging of the modules and restores their ability to store electrical energy. The modules capacity is determined and the module is placed in an “inventory” of similar capacity modules. The remaining components of the battery are cleaned, reconditioned, and tested to ensure proper operation. The battery connections or “Bus Bars” are replaced with nickel plated bus-bars to prevent corrosion, ensure top performance and long battery life. The entire battery pack is then reassembled and load tested in its entirety in a real world profile that puts the same demands on the pack as real world driving. Every battery pack must meet stringent performance standards before it is installed in a vehicle. If you are considering a Lexus CT200H battery repair we encourage you to contact us to discuss a Lexus CT200H hybrid battery replacement with a completely reconditioned Green Bean battery. There are many shops and individuals that claim they can repair your CT 200H battery for as low as $500. While the cheap Lexus CT200H battery repair may seem tempting at first a closer look will usually provide a different story. Simple CT 200H battery repairs usually include only replacing one defective module in your battery. While this may clear the warning lights and get you back on the road for cheap it has many high risk pitfalls that you may not be able to avoid. First consider the replacement module – at $500 for the entire repair you can be assured that the CT 200H battery repair person has no way of actually testing the modules that they are installing. They are simply buying used modules from eBay or some other used parts supplier with the hopes that the module is good. There is a 1:28 chance (or worse) that the module is in fact bad since most used modules come from defective CT 200H batteries that are just disassembled and sold piece by piece. Here is what we recommend: Call us when you see the red triangle or have a p3000 or P0A80 (replace CT 200H hybrid battery pack) code. We will steer you in the direction that will save you money in the short term and long term. While spending more initially may seem expensive, we promise that you will spend more in the long run if you go for one of those $500 Lexus CT200H hybrid battery repairs. Why trust Green Bean with your CT200H battery replacement? Green bean battery started out of necessity. While running an auto repair and hybrid repair shop in San Diego County California our founder was replacing hybrid batteries at the rate of 3-4 per week using what was the only aftermarket replacement battery. It was only a matter of months before the brand “x” battery was failing so we decided that we must create our own solution so that hybrid owners were not forced to either trade in their vehicle or pay the dealer thousands of dollars for a replacement battery.